A totally new spin on Match-3! 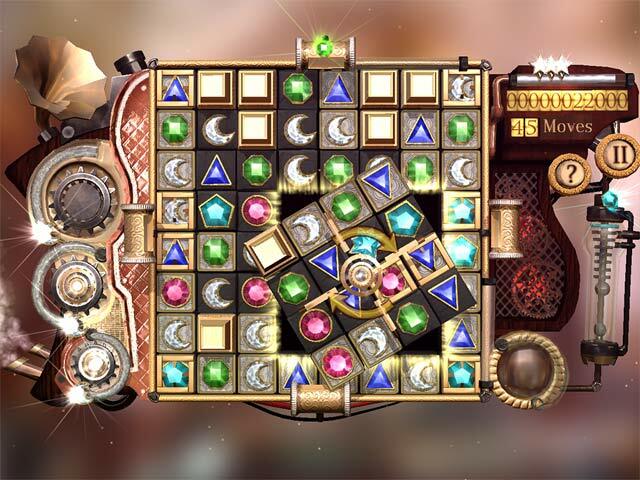 Solve fun and challenging Match-3 puzzles in completely new ways. 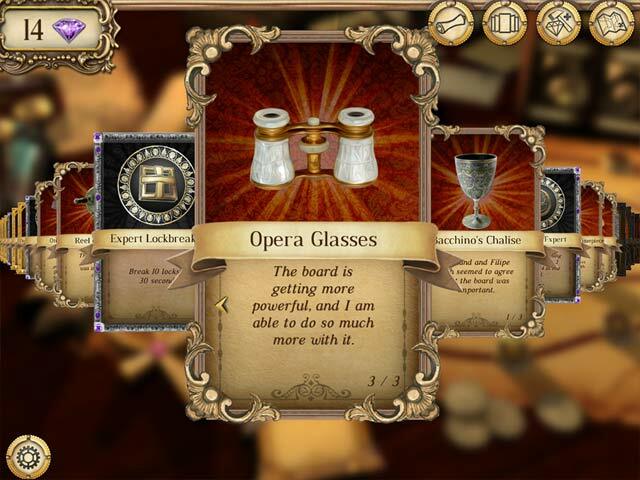 Special tools let you change the game board itself, giving you new ways to find matches and solve board puzzles in ways not seen before. While traveling around the ancient Mediterranean, you discover artefacts and lost gems that uncover power ups, enabling you to face even greater and more interesting challenges. Four different game modes take advantage of the stunningly rendered 3D game board to give you a variety of experiences ranging from relaxed to frantic to thoughtful! 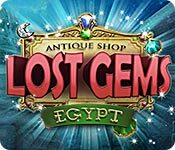 Antique Shop: Lost Gems Egypt is rated 3.5 out of 5 by 28. Rated 5 out of 5 by csivell from Phew !!! Just finished this game after months of patient toiling !!! The only fault it has,in my opinion, is the lack of explanation on how to play !! After the initial technical errors it proved to be a great game. You'll need to be fast or have endless patience . Looking forward to the next one from Kool Haus !! Rated 5 out of 5 by OldBartho from Loved the Game This is a particularly challenging match 3 game that makes you think and select the correct tools to finish each board. Hope more like this are in the making!! Congratulations to the developers for providing a unique challenge. Rated 5 out of 5 by ryebird from Love this game! It took a little getting used to, because of the tools. I love match three, so I stuck with it. I am really enjoying it now. After getting used to the tools and what they do, it got much easier and more fun. Learning the tools may be a bit of a challenge, but once you get past that, you will like this game. I understand some people had issues with gem movement and appearance. Not sure if that is a computer graphic/resolution thing, or maybe mouse characteristics, but I am not having that problem. Rated 5 out of 5 by jcvanhal from Best Match-3 ever Based on a finished game. Best match-3 I ever played. Lots of new innovations, or at least have not seen them in other match-3 games. Very entertaining and sometimes very challinging. Only the storyline didn't make much sense to me and was hard to follow or understand. Rated 5 out of 5 by SynthpopAddict from Wow, engrossing game! [review based upon completed game] Pros: Untimed [see details], unique powerups, good storyline, can make moves constantly Cons: Game interface details may take some getting used to, game glitch [developer is aware/working on patch as of this writing], needs a lot of RAM to run well It's been a long time since I've been pulled into a game so much that I stay up until all hours playing it and wake up a few hours later wanting to play some more! 150 levels, 4 different board types [clear all tiles, clear all tiles with limited moves, make X number of matches, and move keys to a lock]. Lots of powerups and trophies which are more than just the usual things seen in M3s. Enjoyed the storyline too, which was well written throughout except for a few spelling errors near the very end; it also seemed unfinished. The game is not timed although there is a stars meter which you will win up to 3 stars if you solve the level quickly enough [in limited moves boards, few enough moves]. The "time trial" boards do have a timer running for making the X number of matches, but that number is just for winning 3 stars. The only ways you can actually lose are by either running out of moves on a limited moves board or getting the board where there are no available matches left and no powerups to bail you out. Although there are a lot of powerups, it is *not* a blow-lots-of-stuff-up mindless game. You really have to strategize to do well in most cases and even though it's untimed, it gets pretty hard! The game interface is a bit...interesting. May take a bit before you can figure it all out. It also uses 2-4 times as much RAM as other current M3s I've seen, so would definitely recommend demoing it first to make sure it runs on your computer. There is a glitch in the game which the developer is aware of and is working on a fix as of the date of this review. See the game forum for workarounds in the meantime. If you love strategy in your games and want something that's not just your run-of-the-mill M3, highly recommended! Rated 5 out of 5 by mmdgaston from FUN!!!!!!!!!!!!!!!! this is a great M3. not like anything you have played before......very different than the norm. lots of fun. my only problem is it is a bit clunky.....seems slow to move. but ignore and play this great game. Rated 5 out of 5 by jedav from Different and fun Great graphic, fun to play and a nice different concept for a match 3 game. Was easy to play with the available instructions. 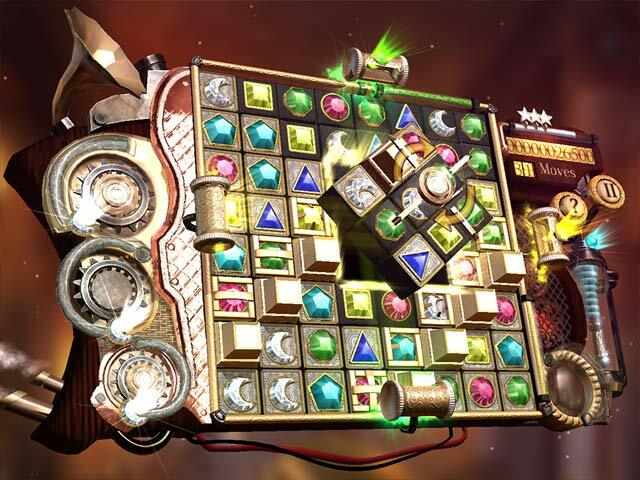 Find lost gems and use special board tools to solve challenging Match-3 puzzles in totally new ways.